Because the game of cricket is changing, we have produced a bat to change a game. 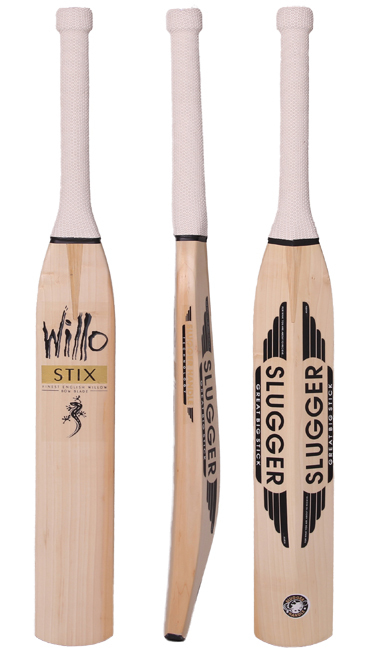 As Twenty/20 cricket moves uncontrollably towards its American cousin, baseball, we have produced a bat which is a cross between a cricket bat and a baseball bat. Simple. Long blade, short handle with a button on its end to prevent slippage. The centre of gravity is moved up the bat which allows a massive profile and a pick-up akin to Margot Fonteyn. Now that is damn groovy. There will be doubters out there, followers rather than leaders, but we at Willostix are not afraid of poking our pretty heads above the parapet when we think something is right. In fact when we were testing the Slugger a nice chap in a beige tank top came over and said "it simply wasn't cricket" "damn right mate, it simply is not".